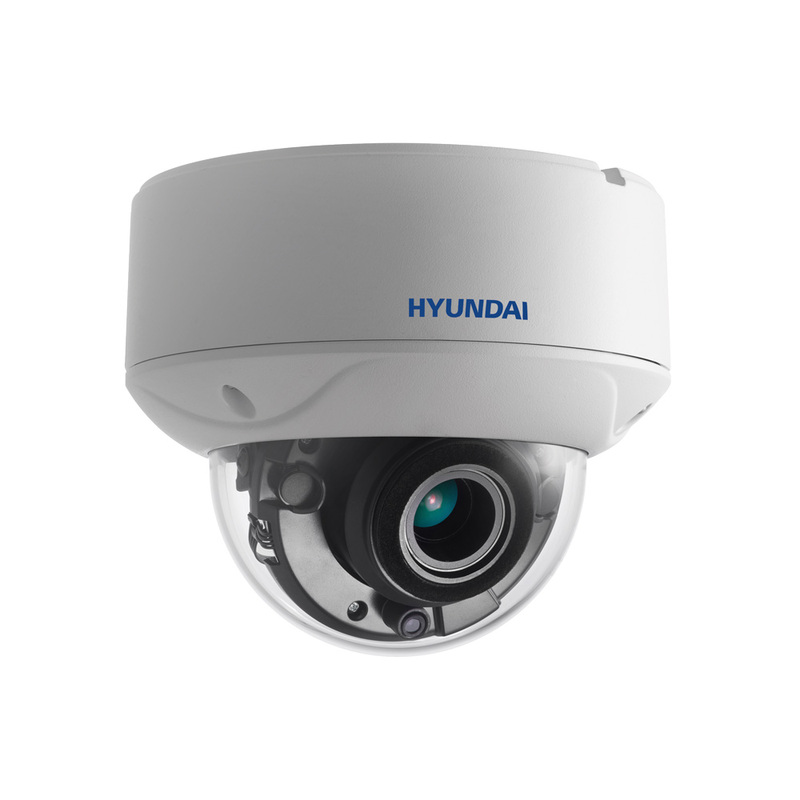 4 in 1 dome ULTRAPRO series with Smart IR of 60 m for outdoors. 8,3MP CMOS. 4 in 1 output (HDCVI / HDTVI / AHD / 960H). 2,7 ~ 13,5 mm motorized lens with autofocus (108,1°~45,6°). ICR filter. OSD, ATW, MWB, AGC, BLC, digital WDR , DNR, brightness, sharpness, mirror. IP67. 3AXIS. 9V~15V DC. Wall mount for HYUNDAI domes. Aluminum and steel alloy. Wiring input hole. 4,5 kg load. Corner bracket for HYUNDAI domes. Aluminum. 10 kg load.